To be the centre of excellence for all dispute management & training. The mission of ADR Centre is to be the resolution experts, providing the highest quality dispute resolution services to our clients and to our local, national, and global communities. Alternative dispute resolution (ADR) includes dispute resolution processes and techniques that act as a means for disagreeing parties to come to an agreement short of litigation. ADR basically is an alternative to a formal court hearing or litigation. It is a collective term for the ways that parties can settle disputes, with or without the help of a third party. 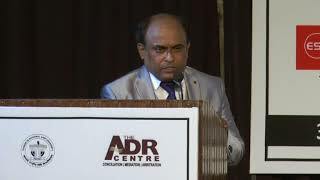 ADR is ways and methods of resolving disputes outside the judicial process, formal litigation to court. ADR is more efficient and effective than the courts in providing justice. 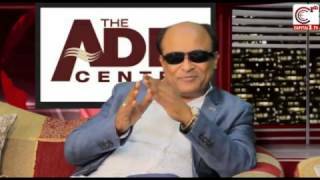 National Academy of Law Arbitration and Social Welfare of the ADR centre mandated to educate and professionally equipped the person to practice ADR in dispute resolution sector. This one of its kind a law firm which emphasizes about using of ADR tools in the dispute resolution process. 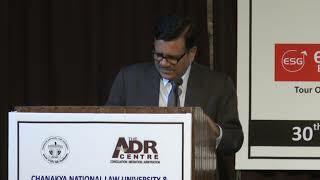 To make the ADR process more equipped, professional, focused and result oriented to establish it as a complete alternative for the Dispute Resolution Mechanism (DRM) to the existing legal system for the settlement of dispute, both the institutions named Chankaya National Law University Patna – A Centre for Excellence in the area of legal education and research and The ADR Centre New Delhi – An ISO 9001:2008 Certified Global Alternative Dispute Resolution Organisation have taken the step forward dedicated to establish The ADR Regime in the country by making tireless effort to educate and train human resources to practice ADR in more efficient, professional and effective manner ; for which both the institutions arrive on a common platform to offer unique and differently structured specialised courses on ADR and Law through its Academic Collaboration, which has been inaugurated by Honble Justice Shiva Kirti Singh, Judge Supreme Court of India, on 30th August 2016 at its Public Inaugural Function held at Indian International Centre New Delhi. It is the outcome of mandate out of mutual understanding of both the institutions for qualitative, professionally equipped and target oriented education and training to be offered through National Academy of Law Arbitration and Social Welfare (NALSOW), An Academy of The ADR Centre under the aegis of Academic Collaboration of Chanakya National Law University, Patna and The ADR Centre, New Delhi by signing Memorandum of Understanding (MoU) on 15th March 2016 at Patna. This Collaboration will provide specialised professionals to deal with specialised area of dispute for the amicable settlement of dispute of a particular kind. Hey! Admissions are open now. Admissions are open now for the Session 2018-19. Hurry! limited seats left.